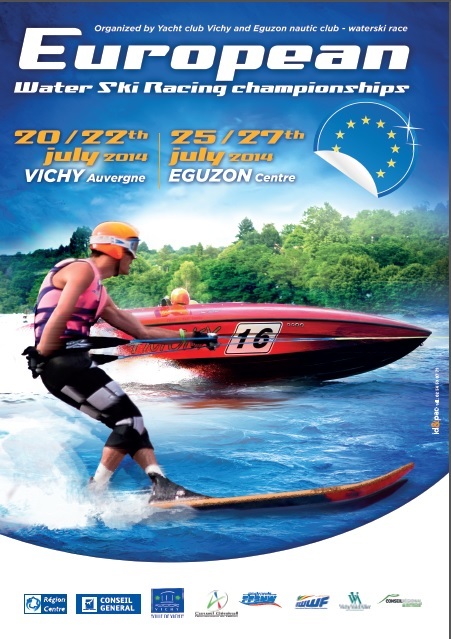 It is a great pleasure for the Austrian Water Ski Federation and for the FZSV – Spk.Ybbs to invite you to the 2nd Race of the European Cup 2014 in Waterski Racing to be held on 30/31th of May in Ybbs an der Donau/Austria. 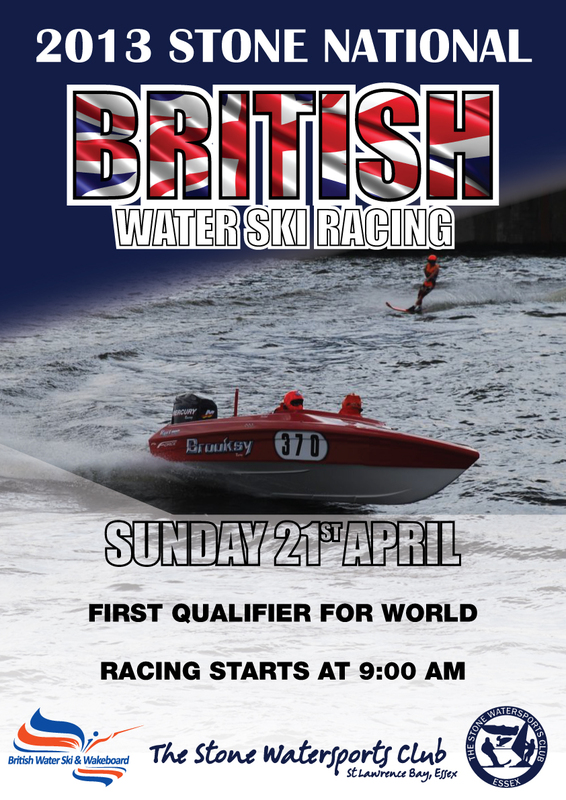 Thanks to Cathy Bird for providing Stone Results of the 1st National held at Stone Watersports Club Sunday April 21st. The conditions were smooth with only boat wakes chopping the course up which seen some very fast speeds & excellent racing in all classes. Stone was also round 1 of the World’s selection races. Round 2 will be held at Lyme Regis May 5th. 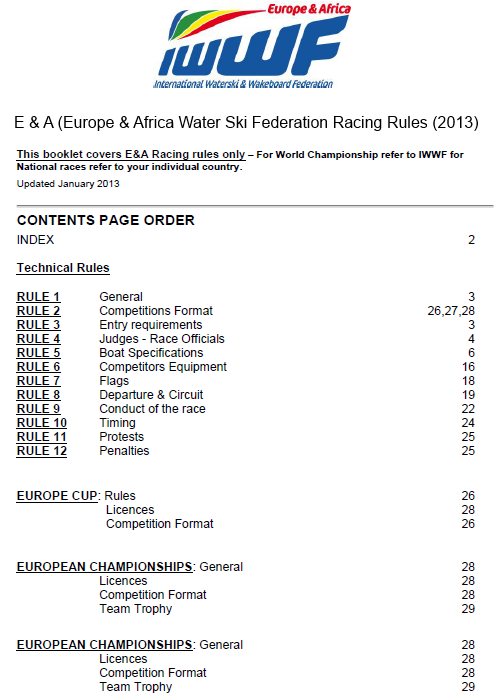 E&A Racing Council Secretary-General, Vera Van den Bossche has published the latest version of the E & A Racing Calendar on 13 March2013. Rob Jenkins writes.. We are holding a southwest dinner complete with meeting & medicals to be carried out for drivers / observers & skiers. On May 8 & 9 & 11 2013, Tulln in Austria will host the first two rounds of the 2013 European Cup. Download the information packs below. Vera Van Den Bossche has announced the International open event has been cancelled due to logistic problems on the Canal. 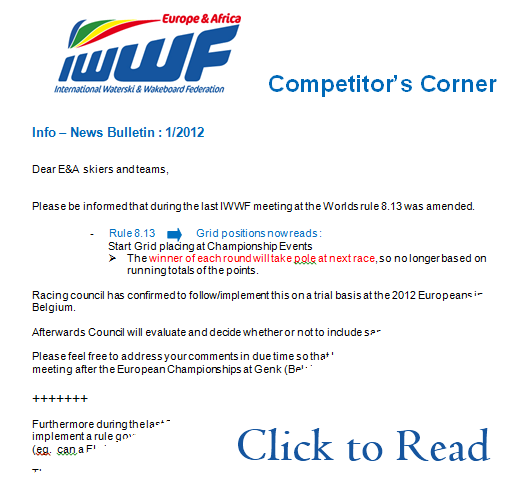 Chris Rydl has published the two latest issues of the Competitors’s Corner bulletin below. Chris Rydl and the IWWF in Europe would like to invite all Teams to the Competitor’s meeting to be held at Viersel this weekend. Urgent Message re Cardiff Race Docks Access: Because of security concerns with the Port Authority, we have had to change the entrance that we are using to access the venue. The post code for this entrance is CF10 4LY. The best approach is exit 33 M4. Follow the dual carriage way approx 8 miles until you pass under a short tunnel and arrive at a roundabout. Take the 2nd exit (this is nearly back on… yourself) and travel 200m to a T Junction. Turn Left at the T. Be careful after a in few meters the road splits. You must keep to the left and follow the road straight ahead. The right hand split is a dead end. I will try and get a sign there for tomorrow. There will be NO ACCESS after 10.00pm & before 8am Saturday & Sunday. Cathy Bird has kindly provided the results from Lochearnhead. A big thanks to the Scottish for putting on a great weekend of ski racing. Scott Brooks has put together a clip of Team Brooksy racing at Hunstanton in the 2nd round of the British National Championships. Click here to view http://youtu.be/ADVRQZ_zTK0 or watch below. Roger Lincoln has provided excellant coverage of the Hunstanton National available to own on DVD with printed disc and professional DVD cover with slip for just £20 in the UK and £25 for the rest of the world including postage. 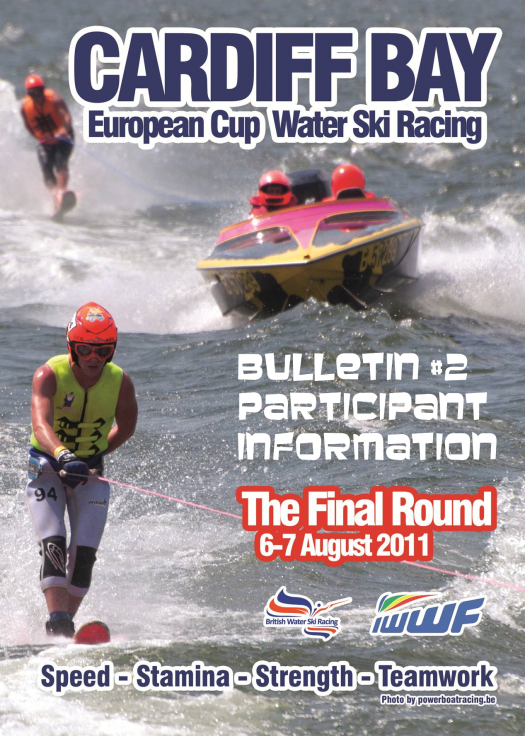 Click the poster below to open and download the PDF contain 11 pages of full details about the Tulln European cup water ski race in Austria on 17th May 2012. Click the poster below to open and download the 10-page programme with full details of the European Cup race in Muckendorf Austria on 20th May 2012. 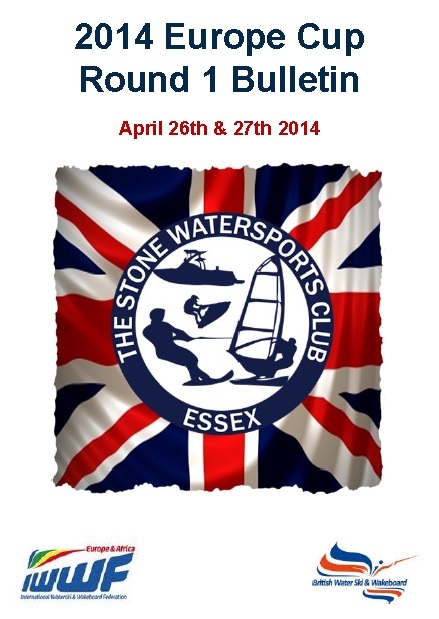 Stone Watersports Club – Just to let you all know a little more about the format. We have 4 races with 6 different classes. The classes are 2Up Open, U14s, Novice, U18s, Womans Open, Mens Open. These can be seen on the PDF document posted on skirace.net about the e…vent. The top 6 boats in each race will score points, the highest total point boat of the day will win a cash prize! If your a skier but havent got a boat, we will find you one. The same if you have a boat but no skier. We Look forward to seeing as many boats as possible in each race and newcomers to the sport in the novice class. Team Germany F1 Skiers Kurt Brooks & Russell Cox will unveil the brand new Bernico F1 Extreme boat, built for the team at the Gent Boat show in Belgium at 8pm Friday February 17th. Team Germany’s Andre Schurle has said how excited he his at the complete new look of the Bernico F1 Extreme. We at skirace.net will look forward to putting pictures of the new Bernico F1 Extreme on here as soon as the boat has been unveiled. Maybe one of the best kept secrets… Not anymore..
Water skiing, wake boarding, windsurfing…. take a look at Stone, based on the river Blackwater in St Lawrence Bay Essex, the Stone Water sports club has been established for over 40 years with a history in water ski racing, Water sports and jet skiing. 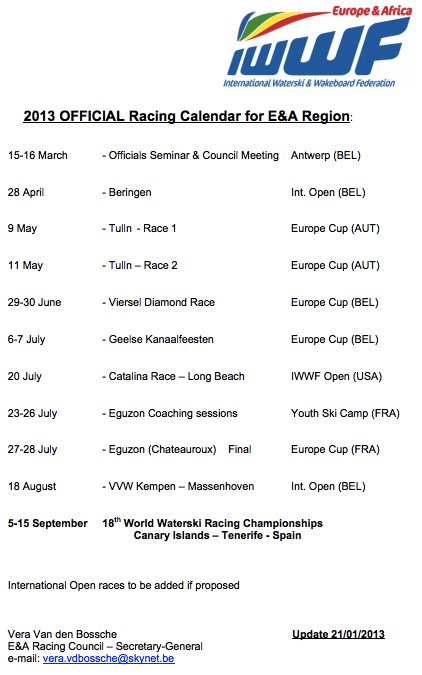 Vera Van Den Bossche has published the E&A Official Racing Calendar for 2012 (updated 27 Dec 2011). The Stone Water sports club Essex held a minutes silence in honour of 2 times World Champion Water ski racer Stephen Robertson . The chairman on behalf of the club send their condolences to the Robertson family. 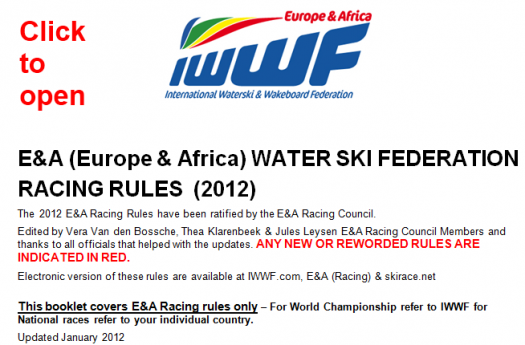 Chris Rydl from Belgium has been elected as water ski racing’s new Athlete’s Representative for Europe & Africa. It is with great regret to report that Britains Tony Malpas has passed away after a long fight against cancer. The old skool water ski racing will remember Tony. Rob Harks has a great portfolio of shots from this month’s 5th and final round of the European Cup series in Cardiff. 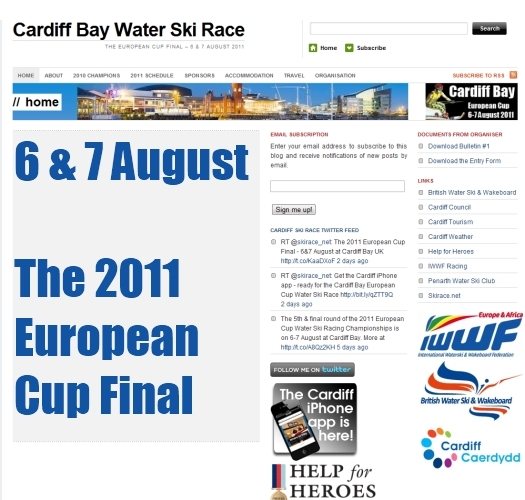 Thanks to Scott Brooks for keeping skirace.net updated with Twitter at Cardiff Bay for the European Cup. 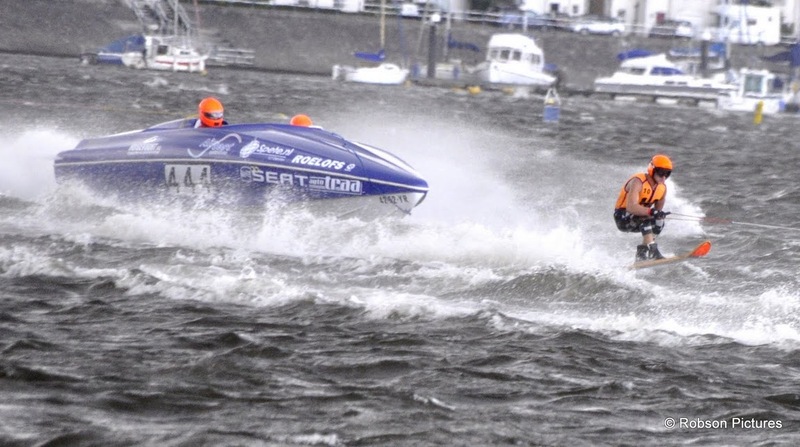 Thanks to Martine Ciroux, below are the results from yesterday’s 5th and final round of the 2011 European Cup racing at Cardiff Bay in the UK. Dave Llewellyn & Howard Smith have published Bulletin #2 for the Cardiff Bay European Cup. The Cardiff Tourism & Cardiff Harbour Authority links there have terrific information to help you get the most out of your visit to Cardiff. And also don’t forget the Cardiff iPhone app. 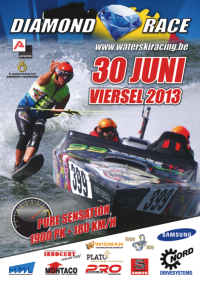 A big thank you to Luc & Pepe at www.powerboatracing.be for providing the action shot used in the poster below. A big thank you also to Tony Fisher of www.spectrumcreative.co.uk – printers of Britain’s Waterski & Wakeboard magazine. 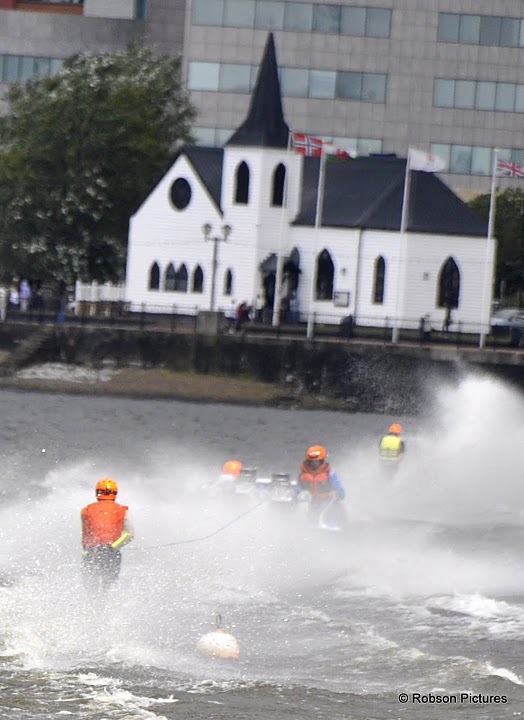 Team Captains for all nations – PLEASE help the race organisers for the Cardiff Bay European Cup Race by submitting all entries for your respective teams urgently. Teams should not submit their entries themselves. Everything must come via your Team Captain. The entry form also for download from the event web site at www.cardiff.skirace.net (find it at the top right of the site). In a great effort to help make the Cardiff Bay weekend more affordable for many, the Cardiff Bay race organisers have announced that the Camper fees advertised for the event have now been cut from £100 to £60. 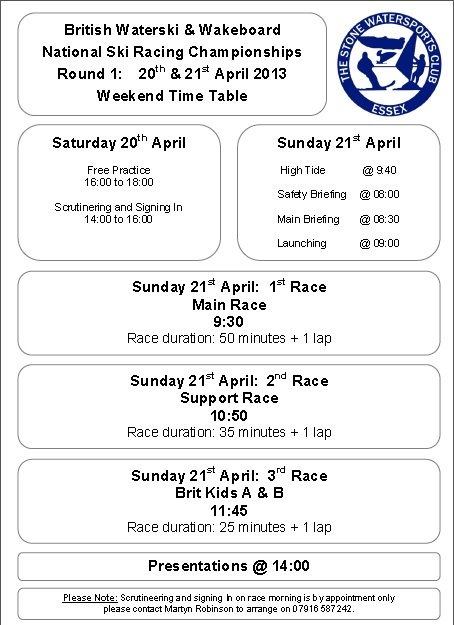 The event timetable of racing will be published this week. Austria’s Lukas Förstel is looking for an F3 team for the Cardiff European race.